The Brooklyn Nets end a pretty good March with two consecutive losses. 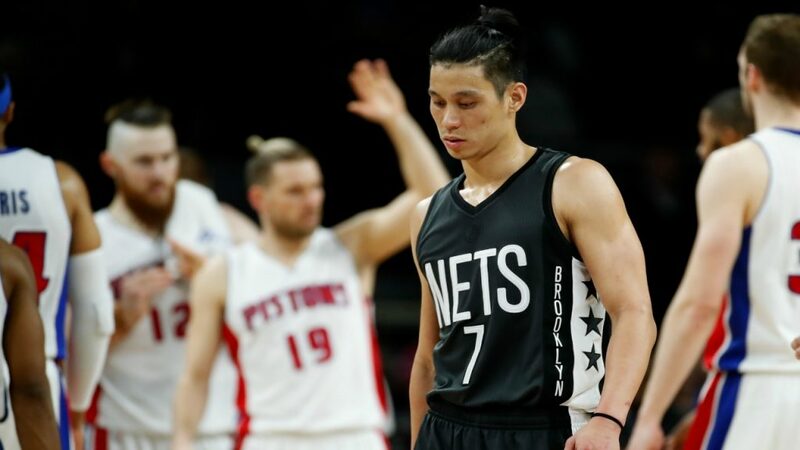 They lost 90-89 to the Detroit Pistons in a rough game to watch, with Brook Lopez shooting bricks all night long, and Jeremy Lin not having one of his better games. Lopez, who was the hero against the Pistons the last time the two teams played, finished with just 11 points on 4-for-17 from the field. He did help make life difficult for Andre Drummond (only 2 points in 29 minutes, scoreless at the half), but Lopez, like everyone on the Nets for long stretches in this game and especially in the end, just couldn’t get anything to go his way. The Nets shot just 38% from the field and 32.3% from beyond the arc. Lin finished with 14 points on 6-of-14 from the field. He was only 1-for-5 from beyond the arc and has been a little bit shaky from long range recently. He helped out with 5 rebounds and 4 assists, but like the rest of the team, was off in the final minute or so. After doing well during his first five minutes of the fourth quarter, even though it felt like the Nets could have done more to get things to go through Lin, he got blocked by Tobias Harris and turned the ball over in the final minute. Ish Smith was the hero for the Pistons, who went on a 8-0 run that won them the game, scoring 5 of the points. They were led by Marcus Morris, scoring 28 points to go with 13 rebounds. Ish Smith added 21 points, and the Pistons kept their small playoff hopes alive. Obviously no playoffs for the Nets, and the question right now is whether or not they’ll shut down their veterans. I’m not sure about that, especially after how poorly this season has went. Getting a look at some players is always a good idea when there’s nothing to play for, but the Nets have had the chance to take a look at all these players for most of this season, with Lin playing in only 29 minutes, which freed up minutes for the backcourt. Last season the Nets shut down Lopez and Thad Young for the final 11 games of the season, losing them all. They have 7 to go in 2016-2017, including against Orlando, at home, as their next effort to reach 20 wins, if that’s even a goal for them. Maybe it’s disappointment running through my fingers, but I actually thought we were going to see a much more consistent Nets team heading into April, but then came two bad losses to the Philadelphia 76ers and the Pistons. While we’ve seen some very nice moments from Lin and this team, there’s a reason they’re at the bottom of the East, and it isn’t just Lin being injured for such a long time. This is a bad team that also suffered from inconsistent decision making from the sidelines, or at least not the right kind, whether it’s lineups or the way their offense is played. From a fan of basketball standpoint, I would hate to see them keep their best players on the bench and ruin a chance for their fans to at least see them being competitive for the next two weeks. However, when there’s really nothing to play for and the Nets showing zero urgency about immediate success, shutting them down isn’t out of the question.